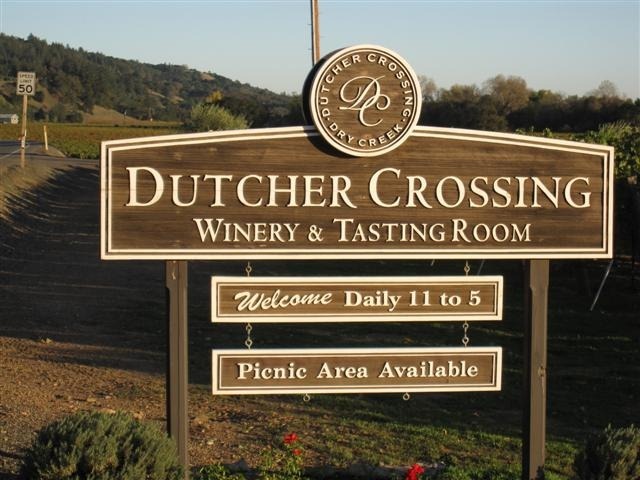 Dutcher Crossing normally charges $10 for their wine tasting, but recently Ian and I happily discovered that our Visa Signature card gets that waived! So off we went to taste their wine. 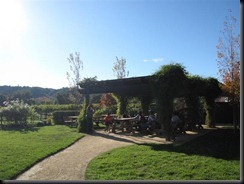 Their tasting room is bright and airy with large French doors opening onto a terrace with beautiful views. It’s also right next to the fields, so you’re surrounded by grapes – especially lovely in the fall with all the changing colors on the vines. They have picnic tables outside with shade which would make for a great lunch time spot. 2006 Taylor Reserve Cabernet – dry, smoky, bolder with a clean finish – nice! 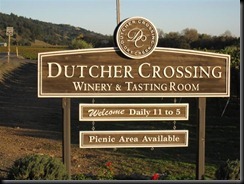 Overall, the service was friendly and welcoming and we enjoyed the wine!